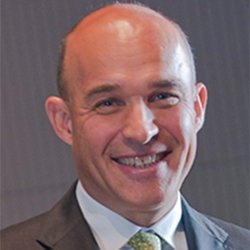 Jim Balsillie is the founder and chair of the Centre for International Governance Innovation (CIGI). 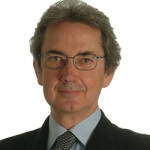 He is the former co-CEO of Research In Motion (BlackBerry), a position he has held from 1992 to 2012. A native of Peterborough, Ontario, Jim earned a bachelor of commerce from the University of Toronto and an MBA from Harvard University, and is a chartered accountant. 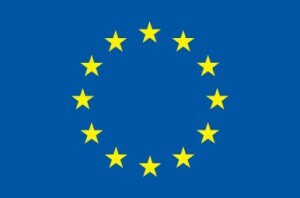 Franco Bernabè is a Vice Chairman of Rothschild Europe and a member of the Steering Committee of the Bilderberg Group. He was appointed CEO of ENI in 1992 and managed the transformation and privatization of the company. He became CEO of Telecom Italy in 1998, and was re-appointed CEO in 2007 and chairman until 2013. He is Managing Partner and Founder of FB Group, an investment company active in the areas of financial advisory, ICT and renewable energy. Mr. Bernabe serves as the Chairman of Franco Bernabe Group Bernabe is President the Board of the GSMA (the international organizations of mobile network operators), is a member of Executive Committee of Confindustria, member of the board of directors of PetroChina and member of the European Round Table. He has been an independent director of several companies and non-profit organizations, including the Council on Foreign Relations and the Peres Center for peace. Bernabe was also the special representative for Italy for the reconstruction of Kosovo, President-of MART Museum of Modern Art of Trento and Rovereto (2004-2014), President of the Venice Biennale (2001-2003) and Vice-President of the Roma Europa Festival (2006-2008). William H. Janeway is managing director at Warburg Pincus in London. Prior to joining the firm in 1988, Dr Janeway was executive vice-president and director at Eberstadt Fleming. 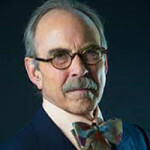 Dr Janeway is a director of Magnet Systems, Nuance Communications, O’Reilly Media and Roubini Global Economics. He is also chairman of the Board of Trustees of Cambridge in America, University of Cambridge and a founder member of the Board of Managers of the Cambridge Endowment for Research in Finance (CERF). Dr Janeway is a member of the Board of Directors of the Social Science Research Council, the Board of Governors of the Institute for New Economic Thinking and the Board of Science Technology and Economic Policy of the National Academy of Sciences. He received his doctorate in economics from Cambridge University, where he was a Marshall Scholar and valedictorian of the Class of 1965 at Princeton University. 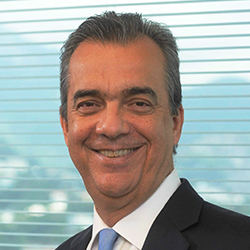 João Carlos Ferraz, Brazilian Development Bank (BNDES), was born in Belo Horizonte. He is an economist and specialist in subjects related to industrial organization and competitiveness, innovation and business strategies, as well as financing and production development policies. Before integrating the BNDES’ Board of Directors, he held the position of director of the Production and Corporate Development Division of Cepal (Economic Commission for Latin America and the Caribbean), of the UN agency, in Santiago, Chile, between July 2003 and June 2007. He graduated in Economy from the Catholic University of Minas Gerais in 1977, and in Journalism from the same institution in 1978. Six years later, he received his PhD in Innovation Economy and Public Policies from the University of Sussex, in England. João Carlos Ferraz is a professor at the Federal University of Rio de Janeiro (UFRJ), where he was the director of the Economics Institute between 1998 and 2003. He was also visiting professor of the University of Tsukuba, in Japan. Ferraz’s career includes advising on doctoral theses, masters’ degree dissertations and undergraduate final papers, in addition to articles in magazines, books and chapters.